What kind of passenger are you? Travelling can be a stressful experience – doubly so when you’re sharing your transport with multiple strangers. 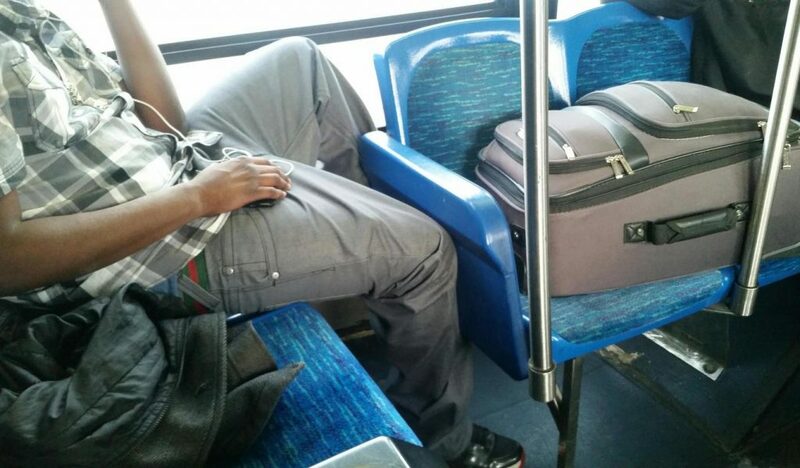 Over time, cultures develop their own form of travel etiquette. Sadly, not everyone seems to have got the memo, and a rogue passenger can make a stressful journey that much more trying. 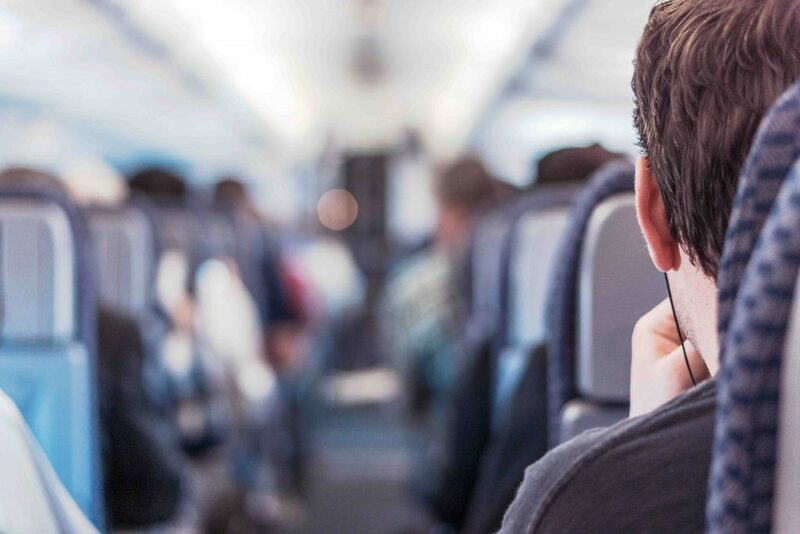 So we’ve come up with a comprehensive list of the different kinds of passenger you’ll encounter, and the best ways to deal with them. Of course, if we’ve missed any, feel free to let us know in the comments! 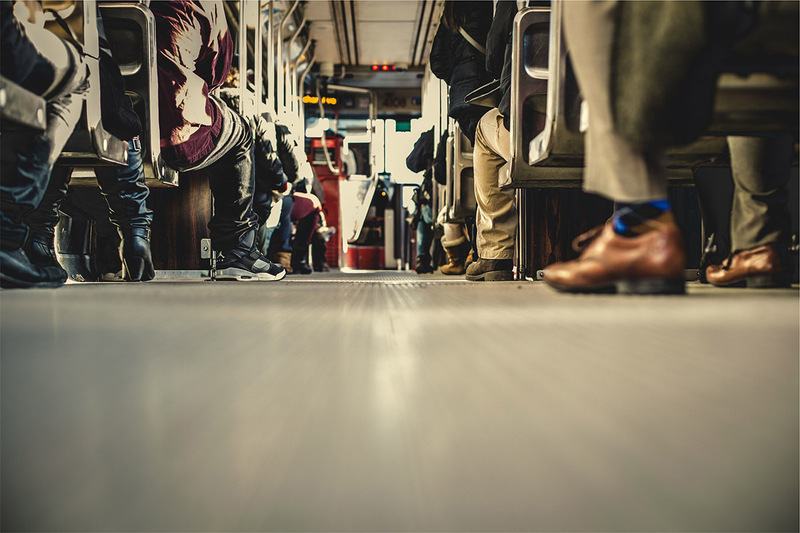 When you’re packed into a seat on busy public transport, any incursion on your limited space can feel like a personal attack but remember, often people just don’t realise they’re taking up more space than they’re entitled to. Next time you witness someone extending a limb beyond their own boundaries, try asking them to give you a little space. You’d be surprised how many people respond with courtesy when asked nicely, and it’s a far better option than getting into a passive-aggressive battle for that little bit extra legroom. One of the greatest things about public transport is the diverse variety of people you meet. While this brings endless opportunity to meet fascinating individuals, it also runs the risk of coming into contact with people with a less than satisfactory approach to personal hygiene. If you’re unlucky enough to be sat next to one of these people, you’ll likely spend your journey practising the art of breathing only through your mouth, praying they’ll disembark before your lungs collapse and you’re forced to inhale their noisome scent. Oftentimes, it’s not the passenger themselves but the food they’ve decided to consume in-transit that causes a problem. While most people understand it’s bad etiquette to stuff your face in a confined shared space, it seems some just can’t help themselves. There’s not much you can do about malodorous co-commuters but, if you’re really desperate, consider bringing a nasal inhaler with you. It won’t totally combat the foul-smelling co-passenger, but it can go some way to offsetting the unpleasant feeling of being sat next to a human dumpster. 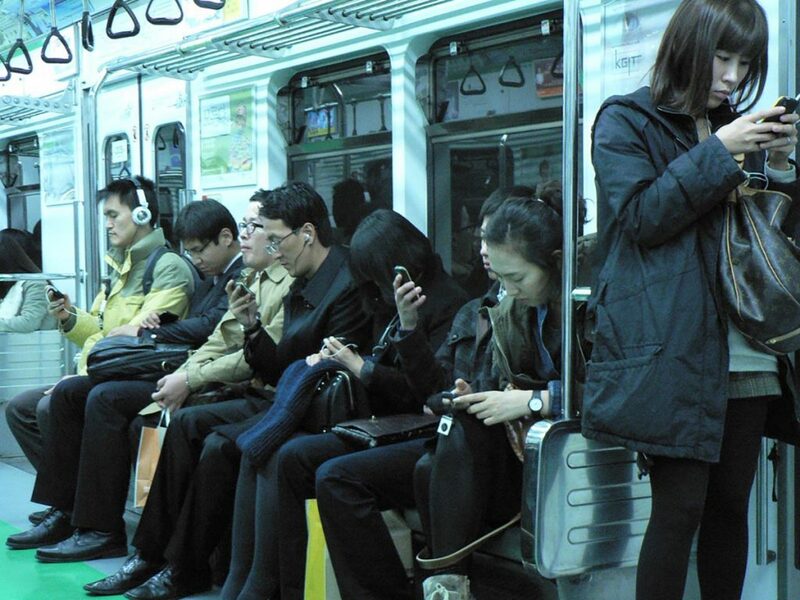 Thanks to the proliferation of the smartphone, people can conduct conversations in public without ever making a sound. Most journeys today consist of people staring at their tiny screen, utterly absorbed in their personal bubble. But there are those who don’t want to stay in their own bubble – in fact, they feel like their personal lives are so interesting, everyone else in the surrounding area should share in it. Even when their conversation is about not much of anything, these people are determined to let everyone in on the details. The only way to deal with these people is to fight fire with fire. Whip out your phone, pretend to make a call and proceed to complain about the blabbering loudmouth you’ve been forced to share space with. They might take the hint and end the call but beware – talk too loudly and you run the risk of becoming the very thing you detest. You know the type. They’re usually accompanied by twenty bags of shopping or the entire contents of their home in various containers. But it doesn’t matter if they had one bag or twenty, they would still believe that the volume of their positions entitled them to additional seating. 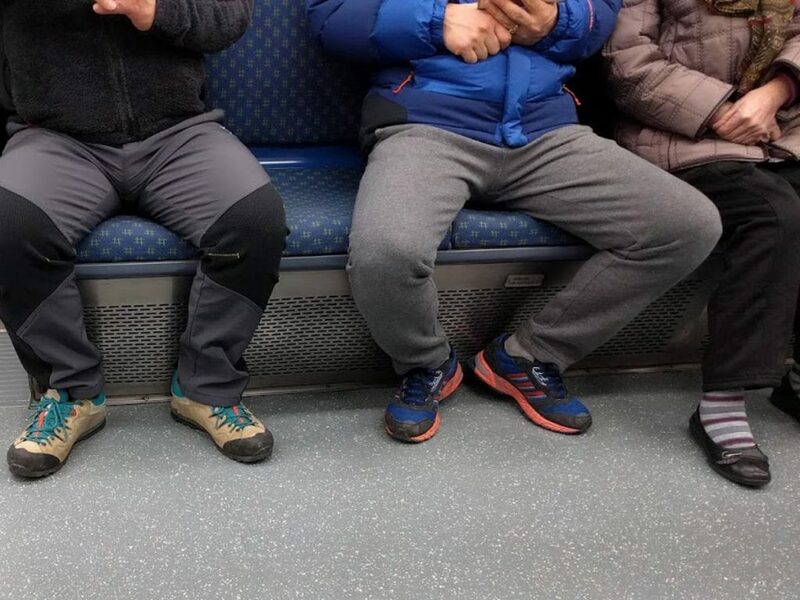 The seat hoarder will typically have a permanent scowl attached to their face, eyes glued to their phone to avoid catching the disapproving gaze of their fellow passengers. It’s difficult to say how best to deal with seat-hoarders. The worst offenders are so wrapped up in their entitlement, any effort to procure your own space would probably be futile. Instead, try to sit as close as possible to them and, if you have a pen and paper handy, slip a note into their shopping bags. The note doesn’t have to be mean or threatening, but perhaps a gentle reminder that they’re not the only one in need of a seat on transport. You never know, perhaps all they need is a nudge in the right direction. So, you’re sat there, just enjoying your journey. Perhaps you’re watching a film, or browsing the internet quietly minding your own business. Then you hear them. Somewhere, the sound of crashing percussion, violent screaming, pounding bass, or a combination of all three, rattles around the carriage, and it’s coming closer. When they sit down, you see it is not actually some slack-jawed oaf playing their music through the speaker on their phone (although these people deserve to be dragged behind the bus). Instead, it’s someone playing music through earphones at what must sound to them like an explosion in a fireworks factory. Still, it’s a remarkable testament to the sheer durability of the human eardrum. Dealing with a human boombox can be tricky. For one, they’ll be completely oblivious to any audible attempt to engage with them. Instead, try signing to them to remove their earphones. When they do, mouth words to convince them they’ve given themselves permanent hearing damage. Of course, the passengers detailed here are exceptions to the norm; most people just want to ride their transport without upsetting their fellow passengers. But there are endless varieties of twerps dedicated to upsetting your journey; so who have we missed? Let us know in the comments below. Running your own commercial transport fleet can be a stressful experience. 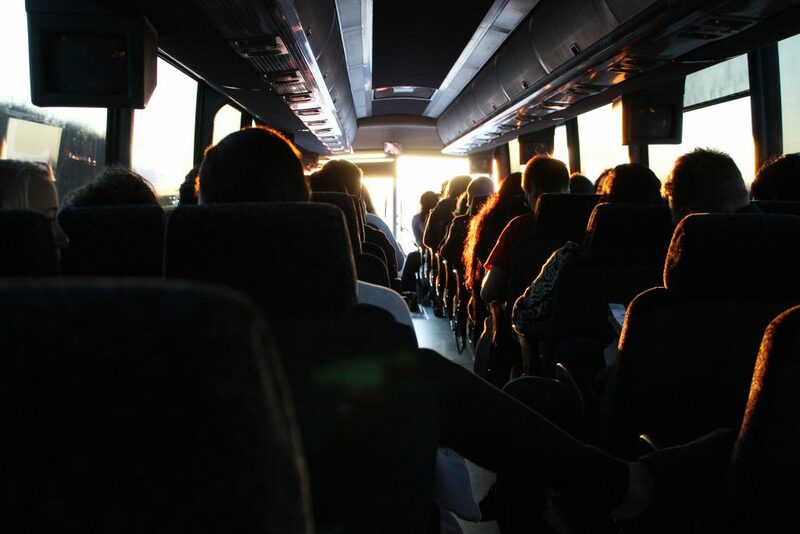 Whether it’s a local bus service or an international airline, some features of travel are essential to ensure happy passengers: comfort, accessibility, punctuality and, of course, safety. With new technologies comes the opportunity to build on these key requirements and improve the travel experience for everyone. Here are just five technologies that can help increase security on your coaches – making for a safer and more secure journey for all. While a fairly regular feature on most trains, CCTV is still fairly scarce on local bus services. But CCTV technology is becoming cheaper every day, while the advantages to using it are substantial. For one, CCTV allows you to track who boards the vehicle. Not only does this record everything that happens in the event of an incident, it also acts as a deterrent to anyone on board considering anything dangerous or illegal. With a data connection, captured footage can be stored on an internal server, or sent directly to an external source. 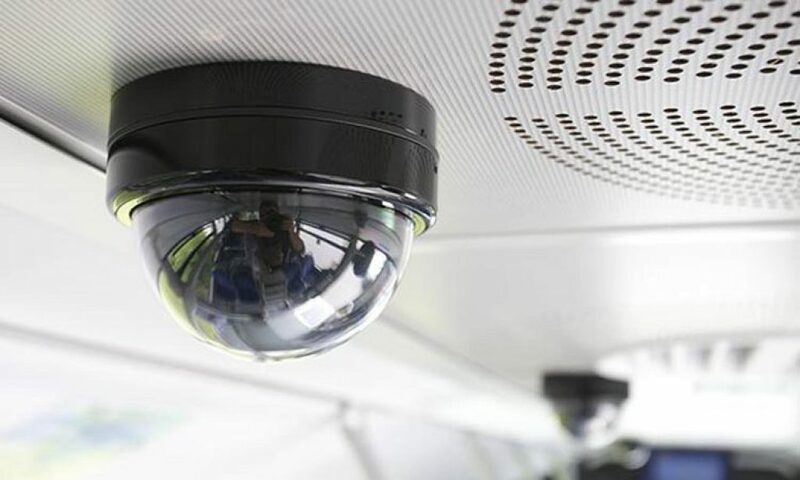 CCTV provides added security to those outside of the bus too, as any passenger that goes on to commit a crime later that day can be identified from the CCTV footage. For companies with a large fleet, keeping track of where each coach is at any given time can be a logistical nightmare. But GPS enables companies to know the location of every vehicle in an instant, centralising the information and saving valuable time in the process. With GPS, discrepancies in the route are identified immediately. Companies can contact the driver to ensure there are no problems and resolve any potential safety/security issues as and when they arise. This isn’t just useful for working hours. If a coach goes missing outside of service hours, the GPS can guide police to its location while relaying valuable information about the driving behaviour of whoever is behind the wheel. Dashcams are becoming increasingly popular in commercial transport, but are still absent from many of the smaller fleets. Despite the industry’s reticence, dash cams are a great additional security feature. Not only do they provide an additional level of visibility, dash cams can be used to report dangerous drivers on the road. If the worst should happen and a coach is involved in an accident, dash cams present clear, incontestable evidence as to what happened. With a Sygnal unit installed on a coach, the crash footage is saved and protected even if the cameras are damaged, much like a black box on an aeroplane. They can also double as external security cameras when the coach is stationary providing the operator leaves them on. 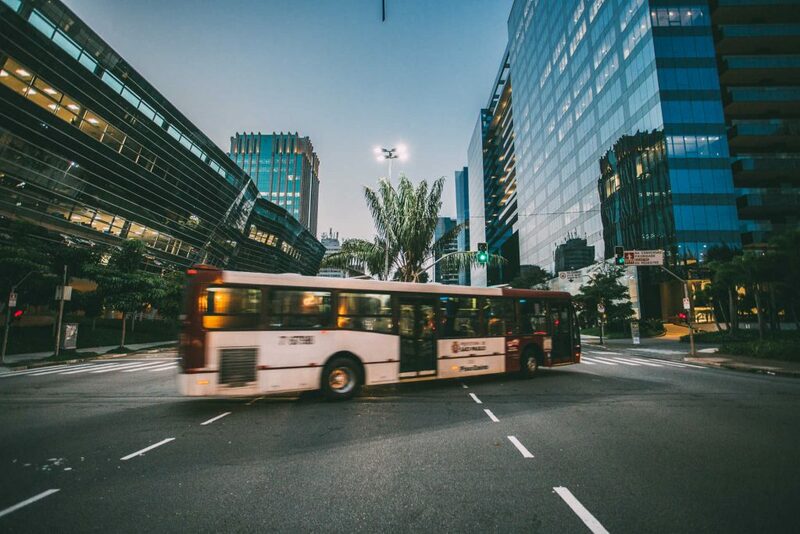 Additionally, dash cams enable operators to review footage and optimise journeys based on variables such as traffic flow, road works and pick-up points. 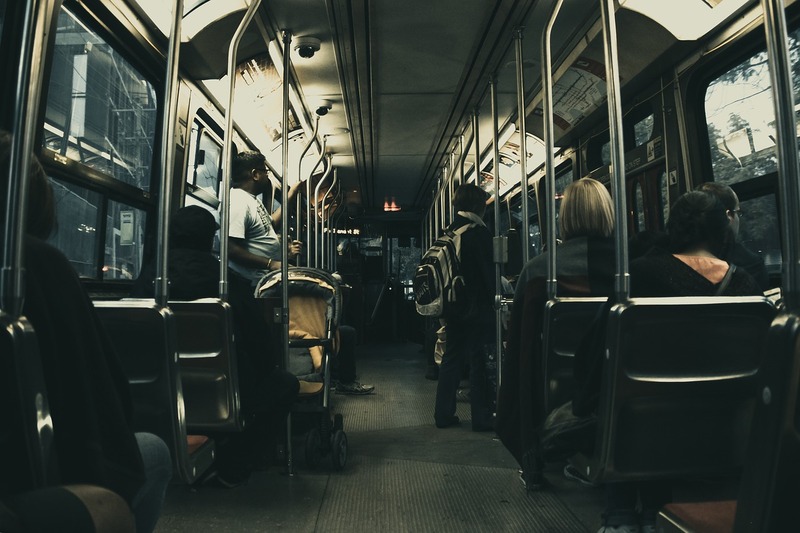 More of a fail-safe solution than a security feature, mobile ticketing nevertheless makes the entire transport system easier and more secure. This method also makes for a more reliable tracking and measurement system, digitally recording every passenger and sending the information directly to a fixed server elsewhere. 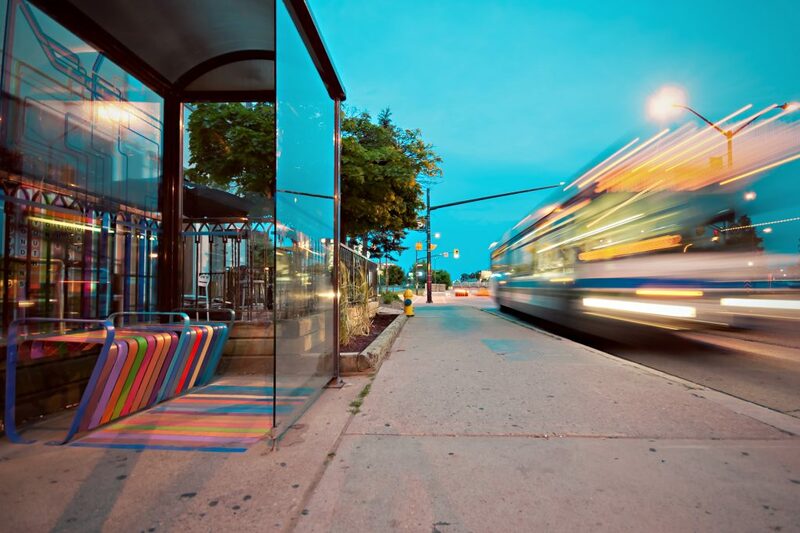 Mobile ticketing enables operators to track everyone who boarded the vehicle through their unique ticket code. After all, a personal mobile is infinitely easier to track than a generic paper ticket. Not only does this allow companies to build up a more accurate depiction of their passengers, it also removes any element of human error through a secure operating system with digital authentication. 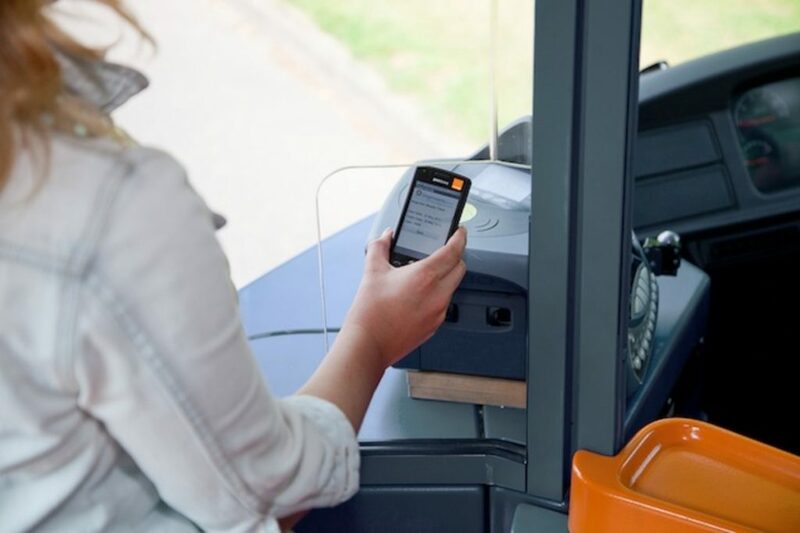 To ensure everyone can board, most digital ticketing systems use a QR code system to allow passengers that don’t want to use their smartphone to use a printed ticket. 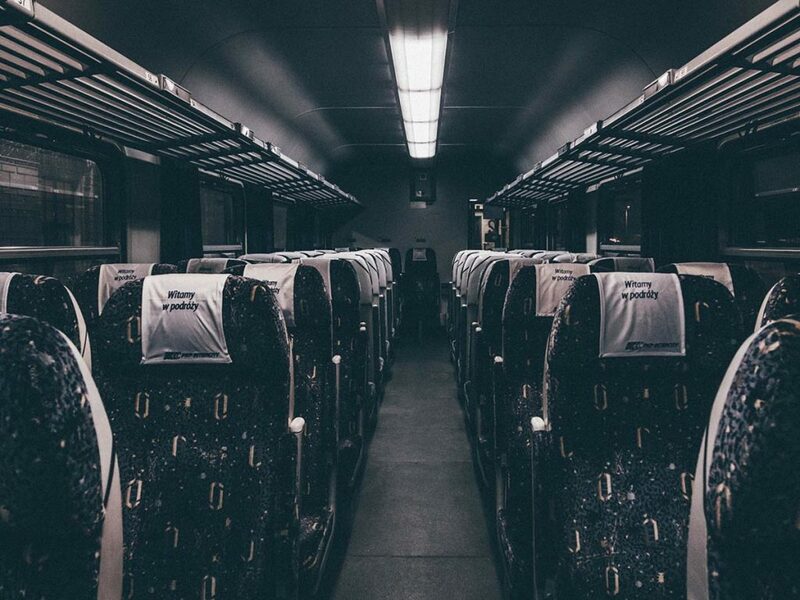 These days, passengers expect an omnipresent internet connection – either through their own mobile network data or, better yet, free WiFi courtesy of the coach company. We’re now at a point where an internet connection is second only to breathable air and a seat in terms of expected amenities on a long journey. But adding an onboard network also provides coaches with an extra level of safety and security. Coaches with in-journey WiFi can communicate quickly and efficiently with a network operation centre (NOC). Not only that; as long as the coach has monitoring software installed, the NOC can monitor the coach’s performance. This means any problems experienced by the coach can be resolved promptly and effectively. Serious issues that could pose a risk to the passengers and driver can be identified quickly, adding a further safeguard against potential injury. So there you have it; just a few modern technologies to modernise your fleet and ensure a safer journey. If you’re interested in making your coaches more secure, get in touch with Sygnal and we’ll find the best options for your specific requirements. Remember, it’s not just passengers that benefit from added fleet security features; your staff will feel more secure and your vehicles less at risk. In these times of rapidly changing fortunes, anything that limits risk and increases comfort must be a good thing.